Dirty jobs require extra protection. 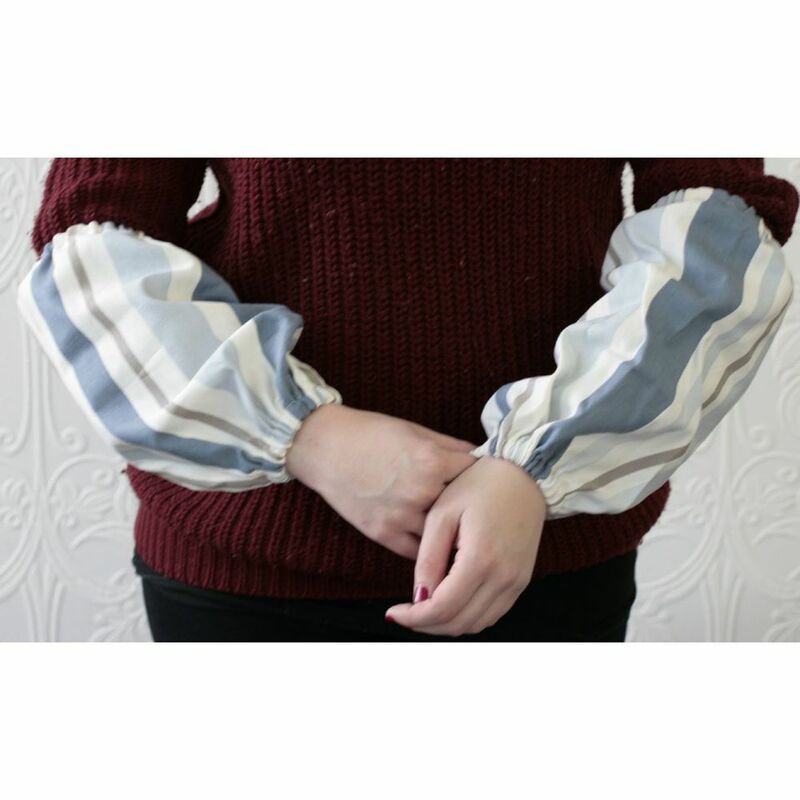 Protect your clothing or your arms by covering up with sleeve protectors. These are a great way to protect fragile skin when doing household tasks. These sleeve protectors are also great for kids in art class to preserve their school clothes, which will save you time, money, and hassle in the long-run. A scrap of fabric - amount depends upon the size - see directions. Measure the arm length from the wrist to halfway up the upper arm and add 2". Use this measurement for the length of the fabric needed. Measure the circumference of the widest part of the arm and add 3". Use this measurement for the width of the fabric needed. Cut two pieces of fabric to size. For the elastic, measure the wrist and add 1/2". Add 1/2" to the upper arm circumference measurement. Cut two pieces of elastic for each measurement (one for each arm). Along the narrow edge of the fabric, press under 1/4" and then 3/4". Tack the elastic to each end, just in from the 1/4" fold, and fold the pressed edges over it. Stitch near the edge of the fold to enclose the elastic. Stretch the elastic as you stitch but don't stitch the elastic. Fold fabric, wrong sides together, matching long edges and elastic ends. Sew together using 1/2" seams. Serge or zigzag to finish the seam. Press and use as desired.